Natural cane and rattan furniture is designed to be used indoors or undercover. 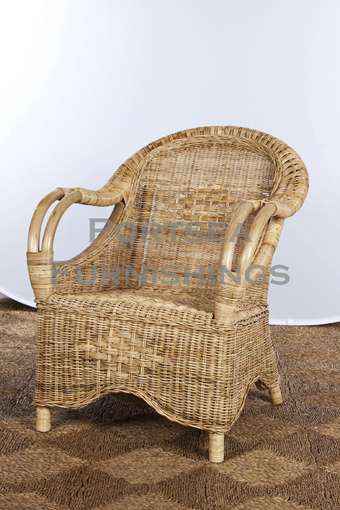 Caring for cane and rattan furniture is very important to prolong it’s life. If your furniture gets wet you want to get it dry as soon as you can, the best way to do this is to place it in the sun and/or in the open air where there is a breeze. If natural cane furniture stays wet for a long period of time it may start to rot or mold, and then discolour. First take your piece of furniture outdoors, then brush or vacuum as much dust and dirt from your furniture as you can. Now hose your furniture off, front, back and underneath, use as higher pressure as possible . Place furniture in the sun and dry it as soon as possible. Your piece will be fresh and clean. If you would like to repaint your furniture, you are most likely wanting to paint it white or revarnish it. Either way, you should rub your piece of furniture down with very light abrasive paper or a sponge with a scourer on one side. Remove as much peeling paint as you can, when you are happy you have removed enough old paint, thoroughly wash your furniture ( see above). When completely dry test your paint on a small area underneath, where it can not be seen. If you are happy that the colour matches continue to paint the rest of your furniture. For more information please feel free to contact us at Portsea Furnishings.